Debt - an amount of money borrowed by one party from another. Debt is used as a method of making purchases that are not affordable under normal circumstances. A debt arrangement gives the borrowing party permission to borrow money under the condition that is to be paid back at a later date, usually with interest. While debt enables purchases, it also can create another level of stress and anxiety that can go beyond a healthy level. 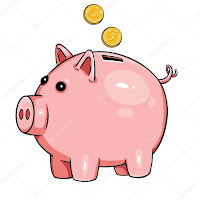 Setting up a personal budget can be a daunting event that typically gets looked at when cash-out seems to be outpacing cash-in. A few key thoughts to keep in mind while getting started is to give yourself grace, changing to a budget is difficult and uncomfortable. 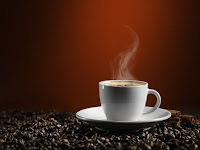 Recently read a blog post on the benefits of drinking coffee over synthetic caffeine. While enjoying caffeine drinks, I switched to strictly coffee (which I love) and have experienced the positive benefits. The benefits included the absence of the caffeine crash that you get from soda and other synthetic caffeine. It also makes it easier to switch on and off to coffee which lends to more choice and less addiction.